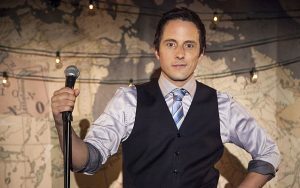 Jonny Harris, from CBC’s Still Standing, visits Fort Coulonge in the Pontiac. Jonny explores the history and the vibrant spirit of the town. To see the full episode visit CBC’s website. CBC: In this episode, Jonny pampers the town’s furry friends, samples a taste of maple heaven, and ziplines through the trees to catch a breathtaking view. Fort Coulonge was once a thriving logging town whose famous white pine helped build great cities like Chicago and New York, and whose way of life helped inspire great fashion like with Hipsters. Today the town is on the ropes. But an entrepreneurial woman who discovered her roots is going out on a limb to lead the community in making it grow strong once more. 5 facts about Fort Coulonge, Que. In the late 17th century the site was occupied, perhaps intermittently, by members of the d’Ailleboust family, who used “sieur de Coulonge” as a title. Fort-Coulonge is known for the Félix-Gabriel-Marchand Bridge, which connects to Mansfield, Que. It is also the only surviving covered bridge in Quebec built in the 19th century outside of the Eastern Townships. 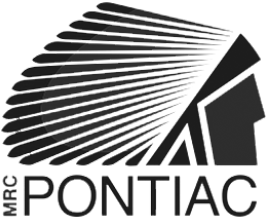 Fort-Coulonge is the francophone centre of the otherwise largely (57%) anglophone Pontiac MRC. Many people work in the mines outside of town, in Lebel-sur-Quévillon, and in Matachewan, Ont. Jane Pitfield has made it her mission to revitalize Fort Coulonge, the town her family helped build. The former Toronto councillor has been a catalyst and given inspiration to others in the town to start up businesses. She has inspired other locals to invest in the town that they love.